The unique design of the Spintech Filter forces water through the directional flow tube, covering the entire surface of the stainless steel screen with unrestricted flow and no pressure loss. 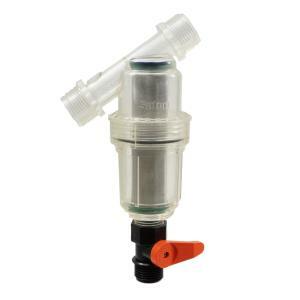 The Spintech Y style filters come standard with a 3/4" hose thread manual ball valve for flushing. As with most Y type filters, the Spintech is not rated for constant pressure.